I confess that half the draw of going to the theater is the popcorn. 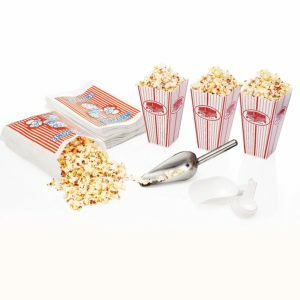 So to create the ultimate Theater Experience, we really do need the popcorn. 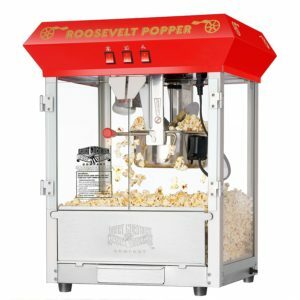 Let’s be honest, microwave popcorn is not the same as theater popcorn. Some brands are better than others but none of them really come close. Here’s how I justified it: Two family visits to the theater. That’s it! SOLD! And I don’t have to wait in line.